Starring Gary Oldman and Colin Firth. Based on the 1974 novel of the same name by John le Carre, a former operations agent for the British agency of MI6, Tinker, Tailor, Soldier, Spy joins the long list of Oscar-nominated movies for 2011 based on bestselling novels that are perhaps better than the films of which they are based. 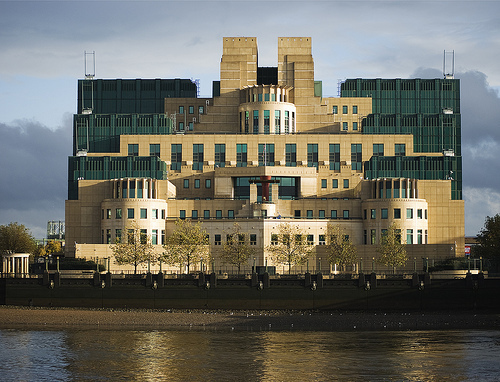 The first in what is a trilogy of spy novels; the film depicts English spy George Smiley (Gary Oldman) as he is pitted against a Soviet mole inside the MI6. After a forced, disgraced retirement from MI6, George Smiley is thrust back into service to oust a mole from within the ranks of his former employer. Unsure of his new re-appointment, and obviously still bitter about his forced retirement, Gary Oldman is silent for almost thirty minutes at the beginning of the film. Much like in the novel, silence on the part George Smiley is persistent, and director Tomas Alfredson uses the silence as a means to both intrigue and frustrate the viewer. Silence adds to the suspense of the movie, as those like myself unfamiliar with what actual espionage would be like, expect exotic locations and huge explosions. The silence shows that no exotic location is needed, no huge action sequence, but rather intriguing puzzles that confound the viewer. Cast with superstar British actors, Tinker, Tailor, Soldier, Spy introduces them one at a time. “Tinker” is the codename for Percy Alleline (Toby Jones), “Tailor” is Bill Haydon (Colin Firth), “Soldier” is Roy Bland (Ciaran Hinds), and “Spy” would be the unknown mole in MI6 that “Beggarman”, or George Smiley, is trying to find throughout the film. Not only does the silence add to the suspense of the movie, but the constant feeling of dread and paranoia certainly adds a feeling of weariness to the overall tension of the film. Sequestered meetings with ubiquitous brown tweed suits in closed rooms and quiet, dark conversations in shadowy corners of London add to an atmosphere of suspense and great pondering on the part of the audience. While the movie doesn’t pander to the stereotypes of current thrillers, I posit that such a position makes Tinker, Tailor, Soldier, Spy absolutely superb. Without the excessive explosions or exotic locations, this movie offers a cigarette-filled rendering of things past. With clues to ponder against the background of the poker-faced and quiet George Smiley, words pierce just as hard as bullets would in a lesser film. If you love suspense and intrigue, this movie is for you. However, if you don’t like thinking through things and have a hard time piecing clues together on your own, I would wait until DVD. I just read the book to prepare for the movie. The book was superb, although the first half was shadowy to the point of being impenetrable. I wondered how they would turn that into a movie, but it sounds like they did it with Smiley's silence. I found your blog on Tiny Library's Literary Blog Directory and am so pleased that I did. Wow! Thank you so much for the amazing compliment! I agree with you in regards to the book – very shadowy. The movie ended up getting that across somewhat with the overall silence of the film, but the book did portray it better.